It’s rare to find a company which acknowledges the complexities of existing in the age of late capitalism – and it’s even rarer to find a fashion brand that embraces (as well as challenges) these paradoxes. The label Eckhaus Latta, equally known for its deconstructed, androgynous garments as for its diverse cast of models and experimental fashion campaigns, candidly questions the very established structures it takes part in. 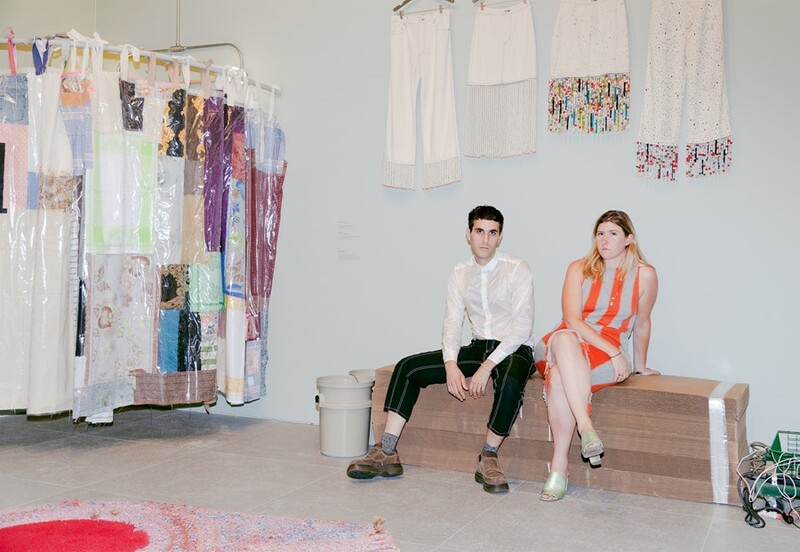 Mike Eckhaus and Zoe Latta, the duo behind the namesake brand, have impressively aestheticised a shrewd examination of identity and consumption, working beyond the scope of many of their fashion-centric contemporaries. It seems apt, then, that Eckhaus Latta is fronting the solo exhibition Possessed at New York’s Whitney Museum of American Art. At the core of the three-room show is an operational retail store, stocked with limited edition pieces visitors are encouraged to touch and try on. Garments are placed on and between the functional artworks of 18 commissioned artists, many of which are friends and collaborators of the brand. The show’s thematic elements align with the sartorial and conceptual work Eckhaus Latta has explored for the past six years, culminating in its largest dissection of selfhood, surveillance, consumerism, and collaboration yet. 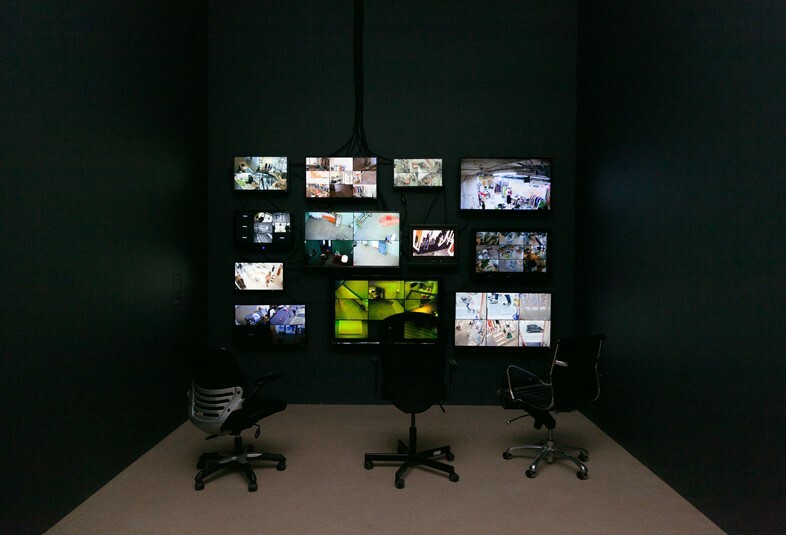 It’s in the final room of Possessed – a darkened space lined with CCTV footage of the adjacent retail floor – that we spoke with the designers about their interdisciplinary practice. 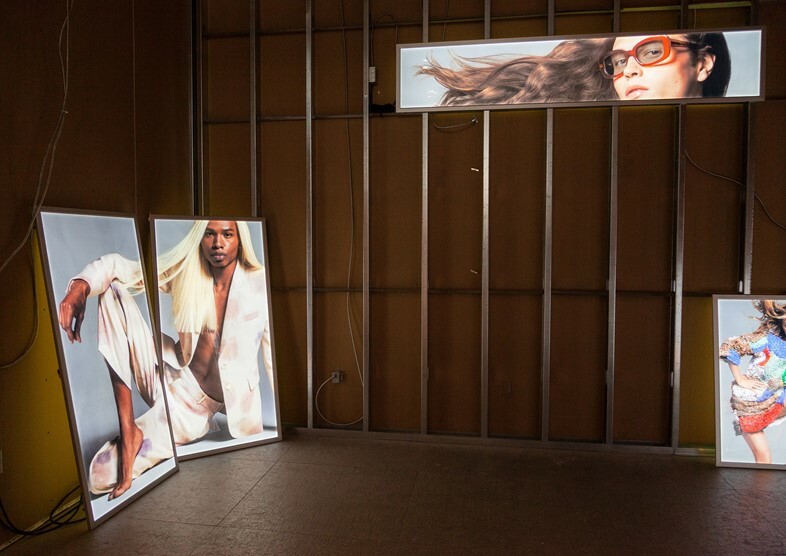 Eckhaus Latta: Possessed runs until October 3, 2018 at Whitney Museum of American Art, New York.